A chronology of Lee Harvey Oswald’s life, drawn primarily from FRONTLINE’s three-hour investigative biography, with links to photos, writings, and documents gathered by the 1964 Warren Commission investigation and the 1978-79 House Select Committee on Assassinations. Lee Harvey Oswald is born in New Orleans, Louisiana, the son of Marguerite and Robert Oswald, Sr. Two months before his birth, his father dies of a heart attack. Marguerite Oswald is left alone to care for Lee and his two older brothers — his half-brother, John Pic, and Robert Jr.
Marguerite sends the boys into an orphanage and later to boarding school. Lee is rejected at first because he is too young. But his mother reapplies and sends him off to the orphanage after he turns four. At age 12, Lee and his mother move to New York City, where they live in a small apartment in the Bronx. While Marguerite works days in a dress shop, Lee spends his time alone at the public library and museums — and endless hours riding the New York City subway system. Although enrolled in the eighth grade, Lee doesn’t set foot in school for almost two months. One day, a truant officer notices Lee at one of his havens, the Bronx Zoo. The truant officer again comes after Lee. He and his mother flee New York and move back to New Orleans, to the edge of the French Quarter. It is an area of strip joints and gambling joints where every hustler and pimp in New Orleans plies his trade. But Lee may have been diverted from the neighborhood’s vices by his interest in socialism. He tries to join the Socialist Party’s Youth League, but there is no chapter in New Orleans. Lee joins the Civil Air Patrol, a youth auxiliary of the Air Force. He tries to lie his way into the Marines but is rejected as too young. Oswald shoots a 212 on the rifle range, earning a “sharpshooter” qualification. Lee is shipped out for a posting at an Air Force defense base at Atsugi, Japan. Atsugi is also a CIA base. The CIA program there involves the U-2 spy plane, the mission of which was to invade Russian air space and photograph Soviet strategic sites. A year after entering the Marines, Oswald wounds himself with a pistol that he’s not supposed to have and is court-martialed for possession of an illegal firearm and put on KP duty. After attacking the sergeant who he believes is responsible for his KP punishment, Oswald is court-martialed a second time and put into the brig. He comes out an embittered person. During this year, Oswald starts learning Russian and begins openly espousing the virtues of Marxism to fellow Marines. Nearing the end of his duty in California, Oswald starts making careful preparations to go to Russia, applying first to the Albert Schweitzer college in Switzerland. After getting his passport, he travels first to France and England and on to Helsinki, one of the few cities where an American can get a visa to Russia on short notice. On his second day in Moscow, Oswald tells his Intourist guide he wants to defect because he doesn’t approve of the U.S. way of life. In his later written appeal he says he wants Soviet citizenship because “I am a communist and a worker and I have lived in a decadent capitalist society where the workers are slaves.” The KGB considers his request, but Vladimir Semichastny, the former head of the KGB who had handled Oswald’s case, says their first reaction was to refuse him permission to stay. Oswald is shocked by the Soviets’ refusal to give him asylum. A short time later, he is found in his hotel bathtub with slit wrists. Unconscious, he is taken to the hospital and afterwards transferred to the psychiatric ward. Oswald goes to the U.S. Embassy to renounce his U.S. citizenship and demands to see the U.S. Consul, Richard Snyder. Says Snyder: “He also volunteered the information that he’d been — while in the Marines — a radar technician and that when he became a Soviet citizen, he intended to offer to the Soviet authorities everything that he had learned.” Snyder reports Oswald’s intentions to Washington. Marines change their radar codes and begin proceedings for an “undesirable discharge” for Oswald. Yekaterina Furtseva, the highest-ranking woman in the Politburo under Nikita Khrushchev, champions Oswald’s cause and demands the KGB reverse its decision and allow him to stay. Oswald is told by Soviet authorities he is being sent to Minsk. With the ordeal in Moscow over, Oswald now has the chance to become what he had always wanted to be, a model young Marxist. Soviet authorities set him up in style. Despite a chronic housing shortage, he is given a choice apartment, a luxury unheard of for a young bachelor. In Minsk, Oswald’s job is to build prototypes of new models at the radio and television factory. The KGB keeps Oswald under constant surveillance and co-opts most of the people he meets. Shunned by his co-workers, Oswald befriends some college students interested in learning English. Oswald’s mother arrives at the White House to ask for help in locating her son. She is not the only one asking questions: several government agencies have begun tracking Oswald in Russia. No one has heard from him in over a year. Oswald marries Marina Prusakova at the home of her uncle, just six weeks after being introduced to her at a Palace of Culture dance. Because her uncle worked for Soviet domestic intelligence, questions later were raised about whether Marina herself was an agent. After persisting for 18 months, Oswald finally gets permission from Soviet and U.S. authorities to return to the U.S. with Marina and their daughter, June. Oswald’s two-and-a-half-year Russian journey is over. The Oswalds move in with Lee’s brother in Fort Worth, Texas. Soon after, the FBI interviews him about his time in the Soviet Union. According to the FBI report, he is in an aggressive, surly mood and gives evasive answers. See historian John Newman’s article for FRONTLINE on the intelligence cover-up. The Oswalds move to Dallas, Texas, where they are befriended by a group of Russian emigres who help them settle in. One of them, George de Mohrenschildt, had originally come from Minsk and helps Oswald find a job at a photo lab downtown. Oswald uses the photo lab’s equipment to forge a new identity, including a Selective Service card, in the name of Alek J. Hidell. It is the first alias Oswald is known to have used. Oswald is beginning to construct a secret life. He opens a Post Office Box to receive mail for himself and Hidell. Thanksgiving Day. The Oswald brothers gather at Robert’s house. Behind the facade, Lee begins to lose control. He is picking fights at work and with Marina at home. At the same time his interest in politics is growing. As far back as the Marines, Oswald had been receiving left-wing newspapers and he becomes enamored with Fidel Castro’s 1959 revolution. He now views Cuba as the Marxist ideal and is highly critical of the U.S. administration’s policies toward Castro. At a party in Dallas, Oswald is introduced to oil geologist Volkmar Schmidt, who recalls Oswald’s infatuation with Cuba’s socialism and his anger at the Kennedy administration’s support of the Bay of Pigs invasion. Schmidt says he tried to divert Oswald’s political anger toward a more worthy target: Ret. General Edwin Walker, a virulent anti-communist who had recently been fired by Kennedy for preaching right-wing extremism to his troops. An excerpt from Oswald’s outline of his political thinking and ideas on a future society — “The Atheian System” — written around the time he tried to kill Walker. Oswald’s guns arrive in the mail. A few days later, dressed all in black, with the new pistol in his waist and carrying his new rifle, Oswald surprises Marina while she is hanging laundry in the backyard. She bursts out laughing. He tells her to take his picture. The backyard photographs remain among the most incriminating and controversial pieces of evidence against Lee Harvey Oswald. The Mannlicher-Carcano rifle Oswald is holding is the same one used to kill President Kennedy. Oswald gives a copy of the photograph to his friend George de Mohrenschildt. On the back, someone has written “Hunter of Fascists” in Russian, and Oswald has signed it. His signature is later verified beyond a doubt by the House Select Committee on Assassinations (HSCA). Oswald is fired from his job at the photo lab. No one knows where he spends his days. Marina says he spent a few evenings shooting target practice. The Walker case would not be resolved until after the Kennedy assassination, when Marina tells her story and the Walker bullet is linked to Oswald’s ammunition. No co-conspirators were ever identified. Two weeks later, Oswald abruptly leaves Dallas. In seven months, he would ride into the history books, but for now he is headed home to New Orleans. Oswald arrives in New Orleans alone, leaving his family behind in Texas with a friend. He is about to enter the most mysterious and perplexing chapter of his short life and the murky trail he left behind in New Orleans still defies a complete explanation. If there was a plot to kill President Kennedy, then it was probably hatched in New Orleans. It was here that Lee Oswald may have crossed paths with men that hated Kennedy and wanted him eliminated. Hiding much about his past from his new employers at the Reily Coffee Company in New Orleans, he starts work as a maintenance man. Marina and June move into his new apartment on Magazine Street. Oswald soon grows bored with his menial job. He shows an interest in guns. But Marxist politics are still his ruling passion and his hero is Fidel Castro. He writes to the leading pro-Castro group in the U.S., the Fair Play for Cuba Committee (FPCC), offering to start a New Orleans chapter. The committee discourages him, but he ignores them and begins printing his own pro-Castro leaflets and phony membership cards. He asks Marina to help him disguise the fact that he is the only member of his organization. He distributes the leaflets on the streets of New Orleans and continues to exaggerate the size of his one-man chapter. He also rents a new P.O. Box in the name of A.J. Hidell. On July 19, Oswald is fired from the Reily Coffee Company. During the rest of the summer, his activities are puzzling. In August, he approaches the leader of an anti-Castro group, Carlos Bringuier, who says Oswald offered to help in the guerrilla fight against Castro. Oswald also writes the Fair Play for Cuba Committee claiming that one of his pro-Cuba street demonstrations had been attacked by Cuban exiles. No such incident occurred. Was Oswald playing a kind of double game that summer in New Orleans? One piece of evidence has continued to raise important questions about his true attitude toward Cuba and whose side he was really on. The return address on Oswald’s pro-Castro leaflets was 544 Camp Street, New Orleans. In the same building, a private detective agency was being run by Guy Banister, a former FBI agent working to overthrow Castro. One of Banister’s comrades in the anti-Castro fight was a former airline pilot named David Ferrie. There is evidence suggesting Ferrie’s and Oswald’s paths crossed in the 1950s when both were in the Civil Air Patrol. And there are clues, some say, that their paths may have crossed again in the summer of 1963 in the New Orleans area. Both Ferrie and Banister did investigative work for Carlos Marcello, Mafia chieftain of New Orleans and a prime target of the Kennedy administration’s war on organized crime. If Oswald did have a secret connection to Ferrie and Banister in 1963, the nature of that relationship remains unclear. And any evidence must be weighed against the rest of what is known of his time in New Orleans where he continued to demonstrate for Castro and was invited to debate Bringuier and another anti-Communist on a local radio show. On Aug. 17, 1963 Oswald accepted a radio station’s invitation to talk about his work with the Fair Play for Cuba Committee (FPCC). He had become known in the news for distributing Fair Play for Cuba leaflets and getting into a confrontation with anti-Castro Cubans. In this 35-minute interview you’ll hear Oswald talking about his role as “secretary” for the New Orleans branch of FPCC, offering his views on communism and capitalism, and defending Castro’s Cuba. In his second, and more famous, radio appearance four days later, Oswald debated Edward Butler, head of an anti-Communist propaganda organization, and Carlos Bringuier, the leader of an anti-Castro group. Butler had done some research on Oswald and surprised him by attacking him on his defection to Russia. At the end of the 20-minute debate Oswald appeared very upset. 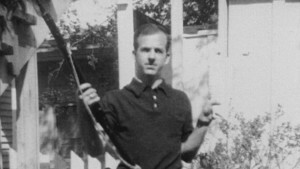 According to testimony given by Marina after the assassination, it appears that Oswald spends parts of his days in late August and the first part of September dry-firing his rifle. Patricia McMillan says that Marina told her that Oswald wanted to go fight for Castro and that he began hatching a scheme to hijack a plane to Havana. On this date, Oswald disappears from New Orleans. His whereabouts the night of the 25th is still one of the intriguing mysteries of his life. There is testimony that some time between 7 and 10 P.M., he made a call to a leader of the Socialist Labor Party in Houston. The Warren Commission believed Oswald took a bus from New Orleans to Houston, but there are no records to confirm that conclusion. But Oswald may have first traveled to Dallas before arriving in Houston. More than 200 miles away in Dallas, three men — two Latins and an American — show up unexpectedly at the doorstep of three young Cuban exiles whose father headed an anti-Castro organization. Sylvia and Annie Odio maintain that Oswald was one of the three men; he is introduced as “Leon Oswald.” “Leon” says nothing, but the other two — Leopoldo and Angelo — ask for help raising money for the anti-Castro cause. Suspicious, the Odio sisters decline and the men drive off. Sylvia Odio’s confessor, Father McCann, helps confirm that the date of the men’s visit might have been Sept. 25, the only night Oswald could possibly have been in Dallas. Two days later, Sylvia Odio receives a call from one of the men: “They were trying to sell me the American because they spoke that he was a marksman, that he had been an ex-Marine.” Odio said Oswald was referred to as “kind of loco”: “He’s been telling us the Cubans should have murdered — or should have assassinated President Kennedy right after the Bay of Pigs and they didn’t have any guts to do it. They should do it and it was a very easy thing to do, at the time.” Leopoldo and Angelo have never been identified and the meaning of this incident remains elusive. If Oswald was there, was he infiltrating another anti-Castro group or was someone setting him up to take the blame for the Kennedy assassination? Oswald is seen on this day, alone on a bus, heading south from Houston to Mexico City. Oswald arrives in Mexico City and checks into a hotel. As he had in Helsinki four years earlier, Oswald tries to engineer another defection. He brings with him a file on his pro-Castro activity in New Orleans. It contains letters from the Fair Play for Cuba Committee, newspaper articles, his hand-written biography and the pamphlets and phony membership cards he had printed. Records at the Hotel Comercio show that it is the real Oswald’s handwriting on the register. Oswald visits the Cuban Consulate, where he fills out the application for a visa to Cuba. He is told he can only enter Cuba under a temporary visa, and only in transit to Russia. He plans to travel through Cuba and meet Marina in Russia. Oswald walks over to the Soviet Embassy and is put off until the following day. Oswald is interviewed by three KGB officers and told that it will take several months to get a Soviet visa and that without one he would be unable to go to Cuba. Oswald takes the news badly. He returns to the Cuban Consulate where he is again rebuffed. As Oswald leaves the consulate and the embassy, he is being watched by CIA operatives. From a house across the road from the Cuban Consulate, the CIA maintained a continuous photographic surveillance. CIA wiretaps and bugs also record several of Oswald’s conversations inside the embassy and consulate. The absence of photos of Oswald has fueled suspicion. According to HSCA chief counsel Robert Blakey, “The suspicion was that Oswald didn’t make it at all, that there was an impostor attempting to frame him in Mexico City. Had that been established, it would indicate a sophisticated effort to frame Oswald, which would immediately draw attention to American intelligence.” But three KGB officers at the Soviet Embassy and the employee at the Cuban Consulate say the man they met was the real Lee Harvey Oswald. And the HSCA investigators found Oswald’s visa application and verified that it was Oswald’s signature. Oswald, therefore, was in Mexico City. 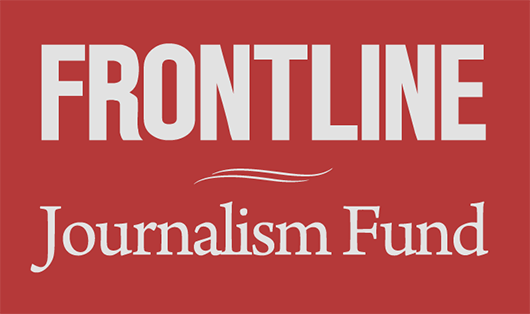 See historian John Newman’s article for FRONTLINE, “Oswald, the CIA, and Mexico City,” on the intelligence cover-up in Mexico City. Oswald stays in Mexico City four days, but in the end both the Russians and the Cubans reject him. His plans to fight for Castro and return to Russia had come to nothing. Oswald departs on bus #332 from Mexico City and arrives in Dallas the next day. He takes a room at the YMCA. He has no job and no means to support his family. Marina and June are living with their friend, Ruth Paine, in Irving, a Dallas suburb. Marina is expecting their second child. A neighbor of Mrs. Paine’s mentions a possible job opening at the Texas School Book Depository. The next day Oswald applies and is hired as a warehouse clerk to fill orders for textbooks. Marina gives birth to Audrey Marina Rachel Oswald. Oswald attends a right-wing rally where the speaker is Ret. General Edwin Walker, the same man he tried to assassinate a few months earlier. On this day FBI agent James Hosty interviews Ruth Paine and Marina at the Paine home. Oswald’s return had not gone unnoticed at the FBI field office in Dallas. The CIA had told the FBI of Oswald’s trip to Mexico and his visit to the Soviet Embassy. Oswald is staying at a rooming house in the Oak Cliff section of Dallas. Apparently worried about the FBI, he registers under a new alias, O.H. Lee. Most of Oswald’s time in Dallas can be accounted for in the days leading up to the assassination. At the end of his working day, he rides the bus to the rooming house and spends weekends with his family. There is no hard evidence that he was meeting with any possible co-conspirators, including his mysterious right-wing associates from New Orleans. But two uncorroborated reports do hint at a continued connection to Cuban exiles. One witness thought she saw Oswald at an anti-Castro gathering shortly before the assassination. Another claims Oswald was in touch with an anti-Castro activist named Pedro Gonzalez. Gonzalez strongly denies the allegation. The Gonzalez story was uncovered by Earl Golz, then a Dallas reporter. His source was Gonzalez’s neighbor. Says Golz: “[The neighbor] saw a note that had been left in Mr. Gonzalez’s mailbox by a person who signed his name as ‘Lee Oswald’ and in an urgent tone left two Dallas telephone numbers for Mr. Gonzalez to call.” The date, says Golz, would have been Nov. 17, a Sunday. It was the one day no one seemed to know where Oswald was, neither his wife, Marina, who tried to reach him at his rooming house in Dallas, nor anyone at the rooming house. The Dallas Times Herald publishes details and maps of the president’s upcoming visit to Dallas and the motorcade route. The planned route takes the motorcade into Dealey Plaza and right by the Texas School Book Depository. One of the boarders at the rooming house recalls that on this night, Oswald intently watched a television news story about President Kennedy’s scheduled visit to Dallas. After work this day, Oswald asks a co-worker to give him a lift to Irving. He arrives at the Paine home without calling first. He asks Marina to come join him in Dallas. But still angry over a fight they’d recently had, and the last months of estrangement, she refuses to make up. On three separate occasions that night, says Patricia McMillan, Marina refused Oswald’s entreaties to join him in Dallas. Some time that evening, Oswald enters the Paine’s garage, where he keeps his rifle. He retires to bed early. 6:30 AM: Oswald wakes up early. Marina is still sleeping. He leaves her $170 and his wedding ring. 7:15 AM: He leaves the house, carrying an oblong package wrapped in brown paper. He tells the neighbor giving him a ride to work that the package contains curtain rods for his room in Oak Cliff. On the sixth floor of the School Book Depository, Oswald spends the morning filling book orders. Noon: Oswald’s co-workers go down to lunch. Oswald shouts for them to send the elevator back up. On the sixth floor of the depository, someone has screened off a corner window with boxes. Two witnesses spot a man with a rifle at the sixth-floor window. They assume he is there to protect the president. Oswald later claims that at this time he was eating lunch with two fellow workers and had then gone to buy a Coke, but his co-workers denied having lunch with him. 12:30 PM: The tragedy unfolds in 21 seconds of eight-millimeter film shot by Abraham Zapruder. As the president’s motorcade rounds the corner of Dealey Plaza in front of the Book Depository, it slows. In the background, a little girl runs beside the limousine. Suddenly there’s a gunshot. Governor Connolly hears it and turns. The little girl stops and looks around. Three seconds later, a second shot. A bullet passes through the President’s throat. It hits Connally in the back and he starts falling. Mrs. Kennedy turns to her husband. Something’s wrong. She looks into his face. Then the fatal head shot. Four U.S. government investigations have concluded that two shots struck the President: the 1964 Warren Commission, the 1968 panel set by Attorney General Ramsey Clark, the 1975 Rockefeller Commission, and the 1978-79 House Select Committee on Assassinations which reexamined the evidence with the help of the largest forensics panel. Within three minutes of the shooting, Oswald walks out the front door of the Texas School Book Depository. He boards a bus, but jumps out and hails a taxi when the bus gets stuck in traffic. He asks the taxi to drop him a couple of blocks away from his rooming house in Oak Cliff. 1 PM: Oswald hurries to his room, puts a .38 revolver in his waistband, and leaves. 1:16 PM: Officer J.D. Tippit is gunned down, killed instantly next to his car, while patrolling in Oak Cliff. There are seven eyewitnesses to the shooting, including Jack Tatum who had the clearest view of the killer: “I was within 10, 15 feet of that individual and it was Lee Harvey Oswald.” The FBI crime lab found that Tippit was killed by bullets fired from a gun with a bored-out barrel, a barrel just like Oswald’s .38. Ballistics tests on bored-out guns can never be completely conclusive. However, marks on the cartridges allegedly recovered at the scene did match the hammer on Oswald’s .38 revolver. 1:40 PM: Oswald enters the Texas Theater, slipping by without buying a ticket. Someone sees him and calls the police. Police enter the theatre. Oswald draws his revolver. After a struggle, he is apprehended. 2:00 PM: Oswald arrives at Dallas police headquarters for questioning in the Tippit shooting; he is also becoming a suspect in the Kennedy assassination. Police have discovered that he was the only employee missing from the School Book Depository. Police recover the rifle and the FBI traces its purchase to an A. Hidell. That night, as Air Force One brings John Kennedy’s body home to Washington, President Johnson is afraid that Oswald’s apparent communist connections could spark an international crisis. Johnson orders the district attorney to drop any reference to a communist conspiracy. This is a year after the Cuban missile crisis, when the world had come to the brink of nuclear war. Oswald will be interrogated for two days, but he never confesses. Midnight: Oswald is paraded in front of the press. At the back of the room is one man who is not a policeman or a reporter, a man who carries a gun and has underworld connections. His name is Jacob Rubenstein, known as Jack Ruby. In less than 36 hours, he will murder Lee Harvey Oswald. Ruby is a police informer who owned a striptease club and made sure that policemen who came to his club were shown a good time. He was known to be an impulsive, quick tempered man who loved to fight. He also knew people who were in organized crime. In 1963, Sam and Joe Campisi were leading figures in the Dallas underworld. Jack knew the Campisis and had been seen with them on many occasions. The Campisis were lieutenants of Carlos Marcello, the Mafia boss who had reportedly talked of killing the President. After the assassination, Ruby closes the Carousel Club. He spends much of Saturday hanging around Dallas police headquarters. That day Oswald is taken from his cell several times to be interrogated and made to stand in police line-ups. Ruby has no opportunity to shoot Oswald that day, but he is asking lots of questions about when the police will transfer him to the county jail. As he hangs around the corridors of the police station that weekend, Ruby seemed distraught over Kennedy’s death. Police had announced the previous day that on this morning, at 10 AM, Oswald would be transferred to the county jail. 10:00 AM: Jack Ruby is still at home. He takes over an hour and a half to leave his apartment. He very leisurely goes to the Western Union office — he doesn’t appear to be rushed, says the clerk behind the counter — and he sends a $25 moneygram. 11:17 AM: He takes his change and the moneygram is time stamped at 11:17. The police station is next door. It is still unclear whether Ruby slipped into the basement through an unlocked door or just walked down the ramp. Oswald never regains consciousness after Jack Ruby shoots him. 1:07 PM: Oswald is pronounced dead at Parkland Hospital. Was the shooting in the basement garage a carefully planned Mafia hit or did Ruby shoot Oswald in a flash of rage? Investigative writer Gerald Posner disputes the Mafia connection: “There’s the odor of a Mafia hit all around Ruby’s murder of Lee Harvey Oswald until you examine both Ruby and his actions over that weekend. There is no credible evidence to show that Jack Ruby acted at the behest of anyone in organized crime. It was personally motivated from day one. Ruby has sinister visitors while in jail: Sam and Joe Campisi visited with him and they always had privacy. Those private meetings with the Campisis reawakened suspicions of a Mob hit. But even those who believe the Mafia killed Kennedy and Oswald concede the evidence is not conclusive. Oswald’s tombstone, which read “Lee Harvey Oswald,” was later stolen. The replacement headstone reads “OSWALD.” His mother Marguerite died in 1981 and is buried at his side.